MY KID IS AT HER MOST HYPOCRITICAL WHEN SHE TELLS ME ABOUT T - ProudMummy.com the Web's Community for Mums. 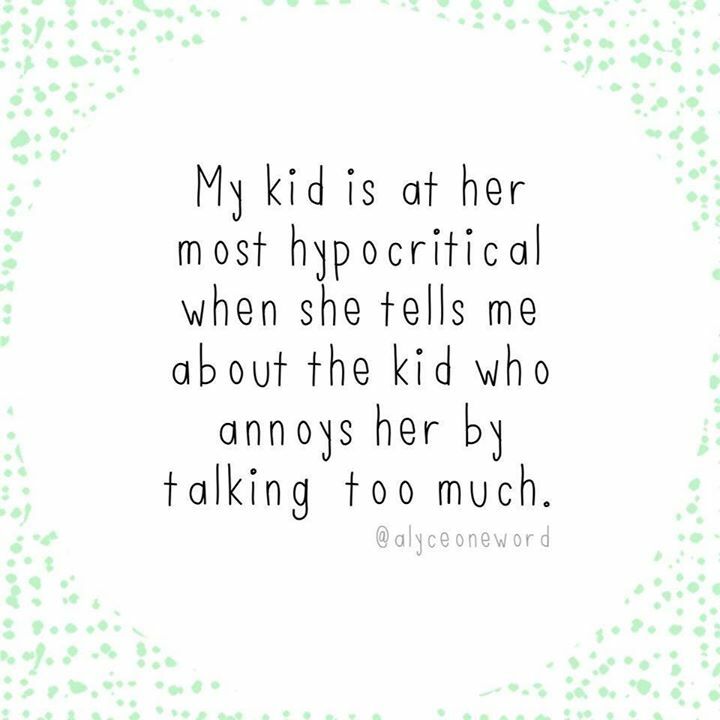 MY KID IS AT HER MOST HYPOCRITICAL WHEN SHE TELLS ME ABOUT THE KID WHO ANNOYS HER BY TALKING TOO MUCH. Nicole Megan Hodgson Holly 😂.